H2H Publishers was started in 2004 by Hans Brinckmann to publish his own works of fiction, poetry and non-fiction in English, Dutch and Japanese, and to promote and coordinate publication of his writings by other publishers and media. His partner is Hiromi Mizoguchi, mainly for Japan-related publications. 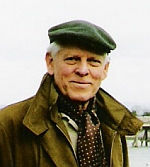 Hans Brinckmann (Writer): Born in 1932 in The Hague and growing up during the German occupation of Holland, Hans had to suppress his early hope to become a writer in order to make a living. He joined a Dutch bank after high school, and in 1950 was assigned to Japan, where he lived for the next 24 years. After reaching the position of area executive, he left banking and retired to Buckinghamshire in 1974, to write and to continue his Japanese studies. He returned to banking two years later. He worked in Curaçao, Amsterdam and New York, where for a time he chaired the Institute of Foreign Bankers and a foundation active in Dutch-American cultural exchange. In 1986 Queen Beatrix made him an Officer in the Order of Orange-Nassau for 'cultural and professional achievements' notably in Japan and the US. In 1988, aged 56, he quit banking for good and since then he has been writing fiction, non-fiction and poetry and contributed intermittently to the Op-Ed pages of Dutch newspapers, often on Japan-related topics. Since 2003 Hans once again makes his main home in Japan, the first ten years in Tokyo, and since 2013 in Fukuoka. In 2008, he held an exhibition in the Fuji Photo Square in Tokyo of photos taken by him and his friend IJsbrand Rogge in Japan between 1951 and 1974. The one-month exhibition attracted close to 50,000 visitors. For information on his books, click here. Hiromi Mizoguchi (Translator): Born in Tokyo, Hiromi obtained an MA from the Graduate School of Social and Cultural Studies, Kyushu University. She worked for the Foreign Commercial Service at the U.S. Embassy in Tokyo from 1990 to 1994. She met Hans Brinckmann through the Japan Society in London while living there from 1999 to 2001. Her translation work includes "Magatama-moyou no Rakugaki" (2005, Shinpusha), the Japanese version of Brinckmann's "The Magatama Doodle"; "Aru Oranda-jin no Showa Japan ron" (2009, Random House Kodansha), the Japanese adaptation of his "Showa Japan"; and "Owaranai Ichinichi", the Japanese title of the bilingual collection of poetry, "The Undying Day" (H2H/Trafford, 2011). She also translates and edits the Japanese pages of this website. Copyright © 2008-2017 Hans Brinckmann All Rights Reserved.